We don’t need more female Bible teachers. Most of them teach men which is a clear violation of God’s Word. We do need more older women who are not afraid to teach biblical womanhood since this is what most younger women need. God commissioned men (elders) to “labor in the word and doctrine” (1 Timothy 5:17). He never commissioned women to do this but to “learn in silence with all subjection” (1 Timothy 2:11). I can understand why God never commissioned women; they are easily deceived and begin to teach things that aren’t biblical. In order to teach men, they have to twist scripture to say something that it does not. Trey wrote a great comment on my post on grace and why I teach what I teach even in the midst of many cruel and evil comments that are thrown at me. I know what is at stake. I don’t like seeing such a lukewarm Church that doesn’t look or act much different than the world. I’m tired of hearing of yet another “Christian” couple divorcing usually due to the wife divorcing her husband. I’m saddened by all of the mothers who choose to work and leave their children in the care of others. It pains me to hear of more “Christian” children walking away from the faith because their parents didn’t heed the warnings in God’s Word to “avoid profane and vain babblings, and oppositions of science falsely” (1 Timothy 6:20) and sent them to be educated in a godless school system. Yes, if you teach biblical womanhood to women today, you will get slandered and scorned but this is to be expected. There are many false believers among us who twist the Word of God for their own benefit. Never veer from the narrow path, women. It is good and it’s the only path that you want to walk on. “One of the reasons that we have so much sin (suffering, pain and death) in the church and soooo many immature Christians who are more focused on grace (whining about being judged) than they are on holiness is that there is not enough teaching and admonishing of the Word among us. Our goal as Christians is to become more and more like Jesus Christ every day. That is the sanctification process! “The goal is to become perfect and complete in Christ! The only way we are going to become complete in Jesus Christ is to learn and follow His instructions for us and the Bible tells us that we need to help each other by pointing out the sins in each other’s lives and warning each other of the danger of sin (which results in suffering, pain and death) and encouraging each other to repent and live according to Gods Word. “Jesus tells us here how important is it to NOT tolerate sin in the Church body and that if those who call themselves Christians refuse to repent when their sin is brought to their attention that they are to be put out of the church and not even associated with! SIN IS SERIOUS BUSINESS and must be dealt with within the body of Christ! “Titus 2:3-5 specifically tells the older women not only that they need to be teaching the younger women, but also exactly WHAT they need to be teaching the younger women and that is exactly what Lori is doing! “The ladies who complain about Lori are so deceived and blind in their PRIDE they don’t even know what is good for them when they see and hear it. They do not understand the DANGER they are in and how Lori is just calling out to them; trying to warn them of the pain, suffering, and death they are bringing upon themselves and their husbands and their children; not to mention the fact that by calling themselves Christians, yet continuing to live their lives in willful ignorance (of God’s Word) and sin, their lives do nothing but blaspheme (bring reproach upon) the Word of God. “Most women do not see the damage they are doing until it’s too late and even when their house (family) has been completely torn down (by their own hands), some still do not see what they have done because they are so blinded by their own selfishness, pride, and sin. You’re welcome, Trey. I love teaching women biblical womanhood because the fruit is so beautiful. It’s only God’s Word and His ways that convict and change people’s lives. Yes, there is a ton of backlash but it’s so very worth it, women. Learn to fear God instead of the many women who despise the ways of the Lord. Women NEED to hear the beauty of God’s ways. His Word never comes back void. Oh how I wish our church would do a study on Biblical womanhood. There are so many young women in our church who need the older ladies teaching them our to be godly wives and mothers. I’m 57 years old and even I can still learn from women older than I am. 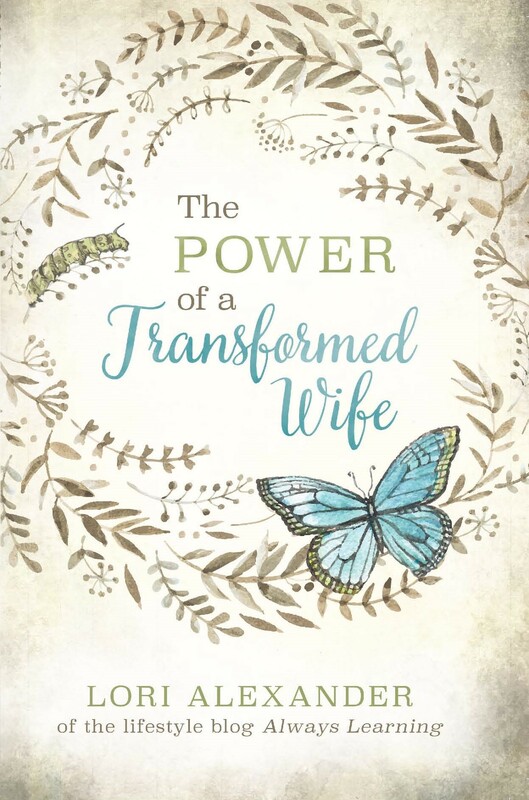 I learned from younger women about being a godly wife because they passed on to me, what they learned from older women in the church. Oh and I don’t know if I told you already, but I finally figured out (sort of) what it means when a post goes “viral” though I still haven’t figured out how one can tell when it does go viral. Lori, you are truly a woman of God. I’m thankful to our Heavenly Father for your service in teaching and encouraging the younger women such as myself. May our Lord add a special blessing to this ministry. Thank you, Khalilah! I love the Lord and His ways. 1.If women are easily deceived, why are they allowed to teach other women and children? We will always have more to learn. The teaching of the Word of God has been given to men and older women who are mature and experienced in the ways of being a wife and mother are to teach the ways of biblical womanhood. As we grow in the wisdom and knowledge of Him, it will be much more difficult to be deceived but we must be diligent to teach the truths of God’s Word not what we want the Bible to say. I appreciate your blog so much! I’m so happy I found it. I agree with this post and I asked myself: why are women today so concerned with teaching men? 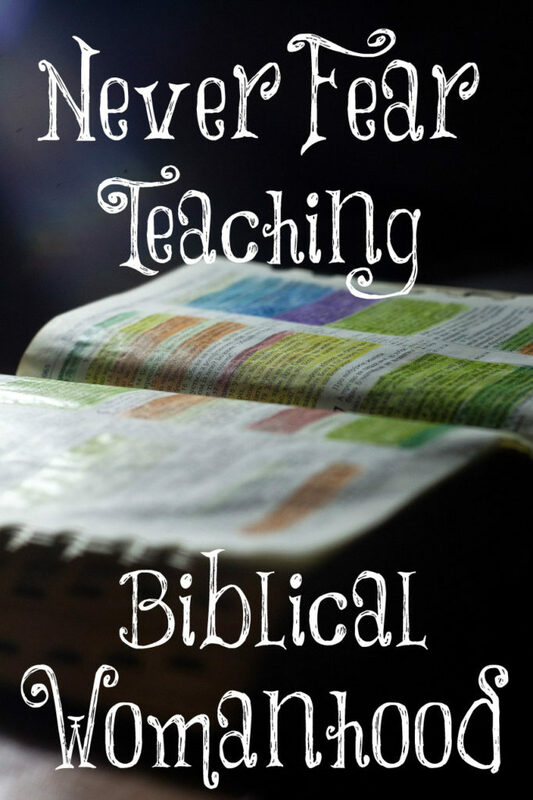 Why don’t they desire to teach other women and young girls (like Titus instructs)? When we (women) fail to teach other women, that teaching spot is vacant. Who is going to teach younger how to clean their home, prepare delicious, healthy meals, protect her children, teach her children, love her husband, and care for her home? Those are huge jobs and I’m sure there are more that I could think of. We (women) need to be taught these things. On the other hand, teaching men has become saturated by women! If we continue to neglect to teach women how to care for their husbands, children, and home; I don’t know what’s going to happen to our futures. Unfortunately, most of the women “Bible” teachings are failing to teach what God has specifically commanded that they teach. If all of them were obeying God in this area, Christian marriages would be stronger, children would be raised to be more secure and emotional stable, and the Church would be a much more powerful force for good in our land. I taught on Genesis 3 to my former congregation, showing that Eve had no business teaching the first recorded Bible study. She was to keep silent, and turn to Adam for instruction, since he was the prophet and priest of the current situation (we see his priestly role, or role as mediator after the fall, when God speaks to him first). Eve tried to teach what was not to be in her realm of calling and she was deceived. Women, as you noted, are still widely deceived. Needless to say, this was part of the reason that congregation is my former church. As an older woman I have failed in teaching the younger women. Even though my life has been centered on my husband, children and grandchildren – all of this under the guidance of God’s word, my teaching is more of an example and not an active involvement with the younger women. teaching the younger) what did you do? I realize prayer is most important and I am asking along with prayer – the how’s and what’s of reaching the younger women? Hi Lori! I want to say thank you for your faithful teachings as an older Christian woman in today’s world. As a 30 year old Christian wife and mother, it is the only guidance on being a Godly woman, I am currently getting in my life. I have a question for you, are women called and ordered by God to follow and carry out the Great Commission? we are told to be quiet in the Church, to ask our husband for questions on The Word. So this confuses me a bit. -Thank you and God bless you.